Over the years I’ve written About Macrobiotics (1972) which was reprinted many times and in many languages. 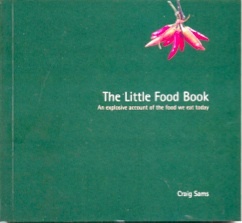 The Macrobiotic Brown Rice Cookbook (1980 & 1994) and, in 2003, The Little Food Book. The Story of Green & Black's (2006), was written with my co-founder Josephine Fairley, and tells about how we developed this popular chocolate brand from its earliest beginnings.